Jimmy is the smallest bird at school. Surrounded by big, tough birds, he feels different in every way and is certain he will never fit in. But when Eagle reminds him that being small isn't necessarily a weakness, Jimmy discovers how being different can also be a strength. This st... read full description below. Jimmy is the smallest bird at school. Surrounded by big, tough birds, he feels different in every way and is certain he will never fit in. But when Eagle reminds him that being small isn't necessarily a weakness, Jimmy discovers how being different can also be a strength. This striking story is Jack Manning Bancroft's first foray into publishing. 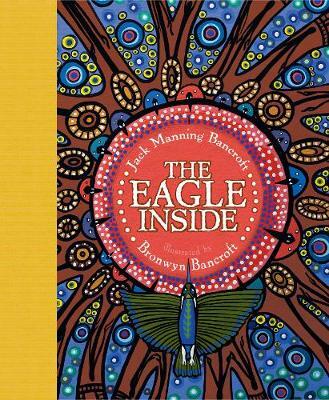 A powerhouse success in his own right as founder and CEO of AIME, Jack has collaborated with Australia's foremost illustrator, Bronwyn Bancroft, to create this timeless fable about difference, belonging and courage. Jack Manning Bancroft is the CEO and Founder of AIME (www.aimementoring.com). In 2005, as a then 19-year-old uni student, Jack founded the AIME Program with 25 Indigenous kids in Redfern. AIME incorporated in 2008 and Jack became a CEO at the age of 22. Jack is now one of Australia's youngest CEOs leading a team of nearly 100 staff across the country and in 2013, AIME was voted 26th in BRW's Best Places to Work. Today, AIME works with over 3,500 Indigenous high school students and 1250 university student acting as mentors across Australia. Over the last four years, back-to-back, AIME students have finished school at almost the same rate as every Australian child. By 2018, AIME seeks to expand across the nation to connect with 10,000 Indigenous high school kids annually and have all of these kids finishing school at the same rate as every Australian child. In recognition of AIME's impact, Jack was named 2010 NSW Young Australian of the Year, 2010 Young People's Australian Human Rights Medallist and received the University of Sydney 2010 Young Alumni of the Year Award. Jack is also the CEO and a Founder of Fone Free Feb www.fonefreefeb.com and a graduate of the University of Sydney and Stanford. Born in Tenterfield, northern New South Wales, Bronwyn Bancroft is a descendant of the Djanbun clan of the Bundjalung nation. Bronwyn is a leading Indigenous artist, illustrator and art administrator whose work is held at the National Gallery of Australia, the Art Gallery of New South Wales and the Australian Museum. Brownyn has illustrated several award-winning books for children and she has a long history of involvement in community activism.